As on of the largest window washing companies in the Bay Area, Capital specializes in keeping premier skyscrapers looking clean and bright. Mid-Low Rise properties deserve the same attention as larger properties and Capital’s customer service team will make your property its priority. Capital performs specialty projects for customers who require the expertise of a high-rise window washing team who can use rigs and scaffoldings to achieve other goals. Capital can perform rough, final & fluff & as well as exterior cleaning services for ground up construction. 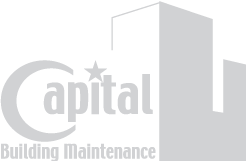 Capital also provides job office cleaning on recurring basis to keep your project team’s site clean. Capital can work within a tight schedule to meet your turnover date.